Wake-Up tee. Are we all dreaming, or just in a virtual reality fog. Every now and then, we need a wake-up call, on whatever level you choose - emotionally, socially, spiritually, or even that Monday morning kind of "it's time to go to work" wake up call! 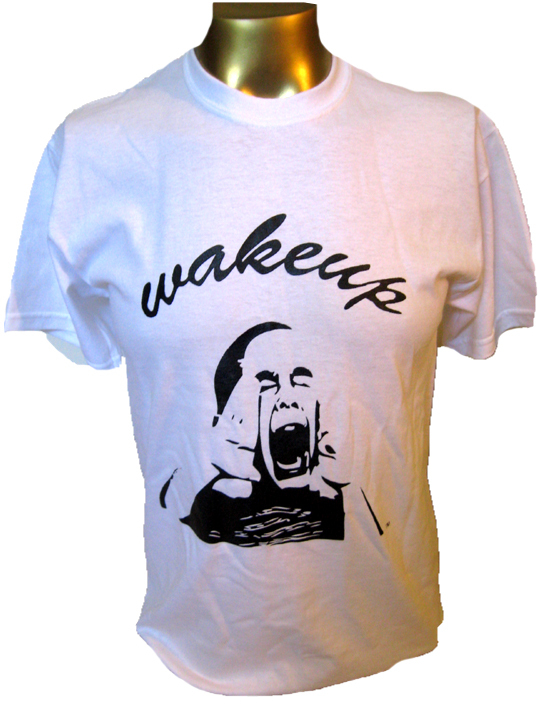 Get this one-of-a-kind tee, and have fun delivering your "Wake Up" call!